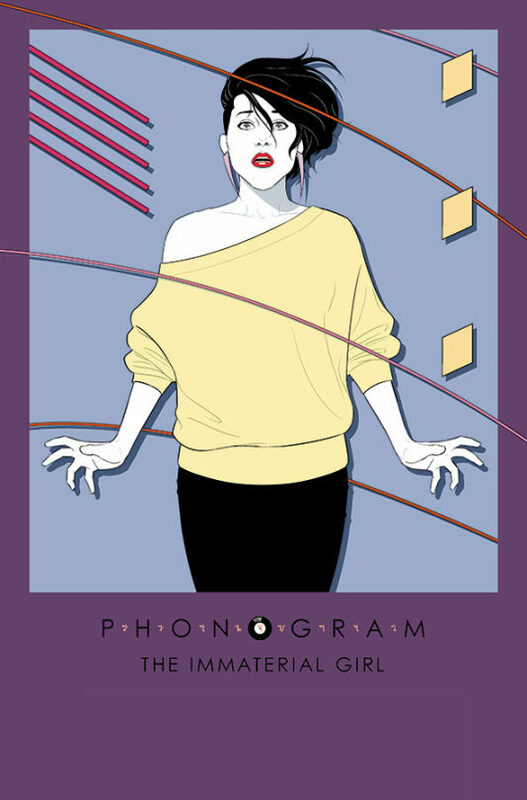 Phonogram: The Immaterial Girl 1 dropped, and has been recieved pretty well. Preview here. You can buy from your local shop, or digitally from Comixology or direct from Image. You’ll find ways to buy all things Phonogram in the side-bar. As previously mentioned, the site is in a hyper-low turnover state – it wouldn’t surprise me if the next blog here was the trade release. If you want more regular updates, you’ll be best following Kieron’s Tumblr, as he blogs a lot of this. If you want reminders of when issues are open, the lower traffic workblog is probably your thing. Thanks for your support. That we’re getting to do this again is somewhat bizarre, if lovely. Phonogram is © Kieron Gillen and Jamie McKelvie. Benevolence theme by Theron Parlin.